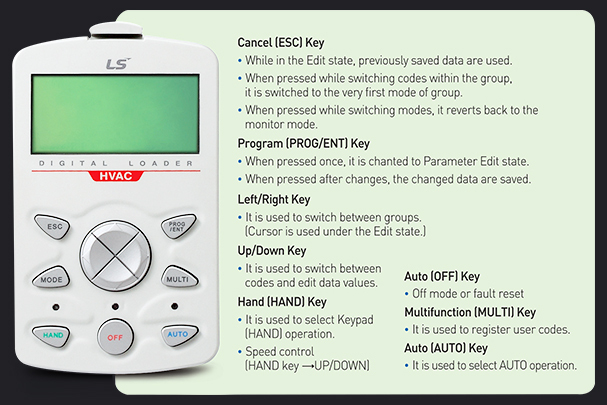 · HAND mode(Local, Control, Mode) or AUTO Mode (Remote Control Mode) can be selected. - HAND Mode : Used when selecting frequency or run/stop commands. 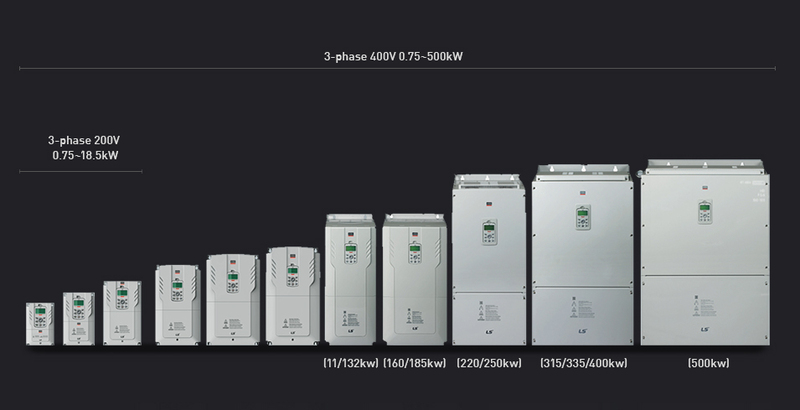 ※ 75~90kW satisfies EMC specifications even without a filter. by minimizing distance between products installed. 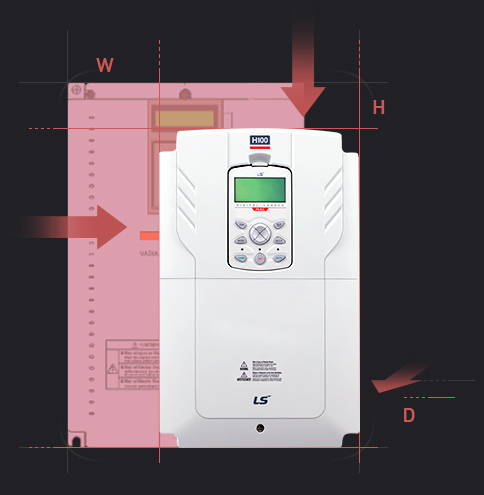 ※Sibe-by-side installation is unavailable for 37~90kW. 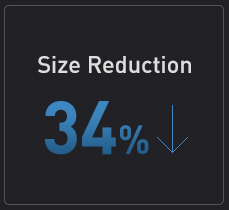 3D design to reduce size by 34% compared to iP5A(Volume based). operation in response to external environmental changes. valve is closed, deceleration time can be set. multiple motors in pump systems. It can control 1 main motor and 5 auxiliary motors. 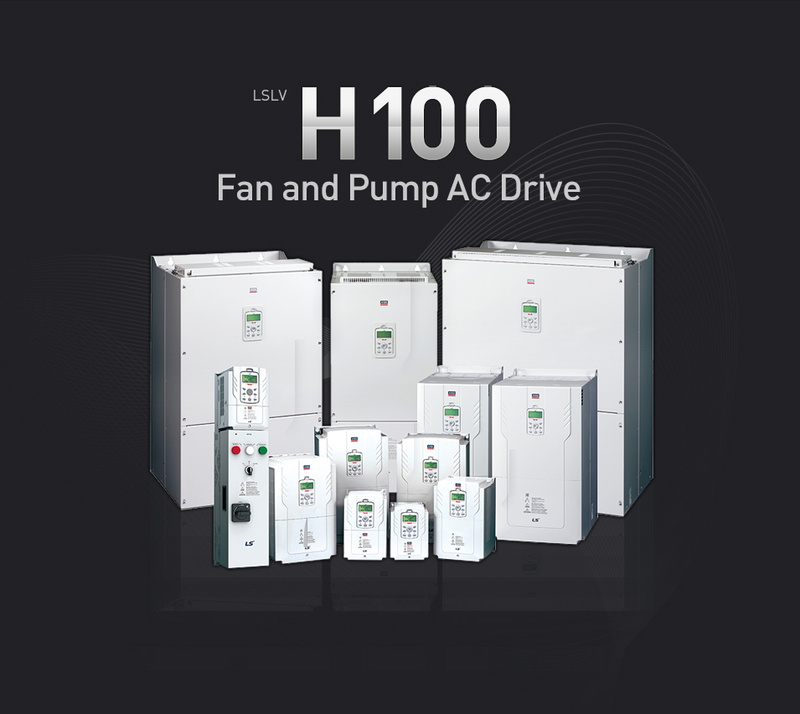 depending on the inverter output frequency. Resume' is used to follow the previous control command. the amount of energy saved. the level of boost to fit the load by itself. receive feedback signals for protection. detected to display a warning or a trip. deceleration, or stop can be selected via parameters. given motor when operating auxliary motors. 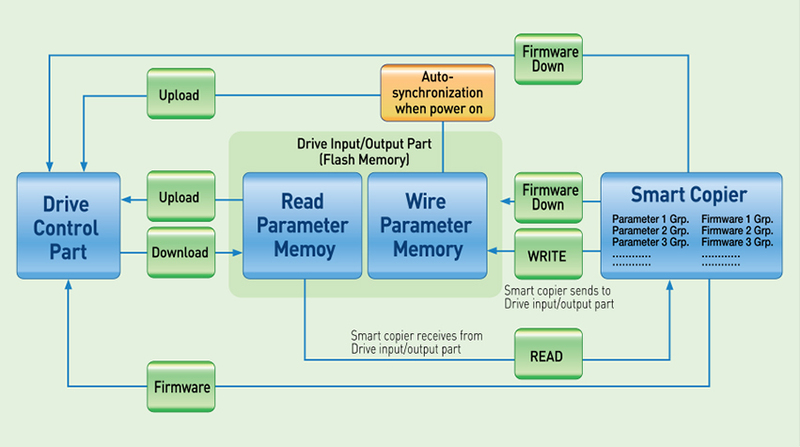 · Motor capacity is based on use of 4-pole standard motors. 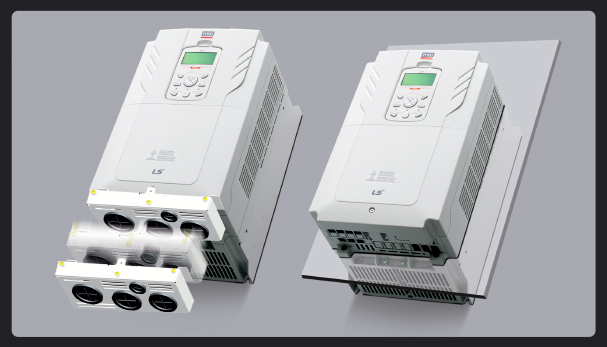 · 200V Class is for 220V and 400V Class is for 440V.